Thank you RBC for sponsoring this conversation and for committing to creating brighter future for our kids. 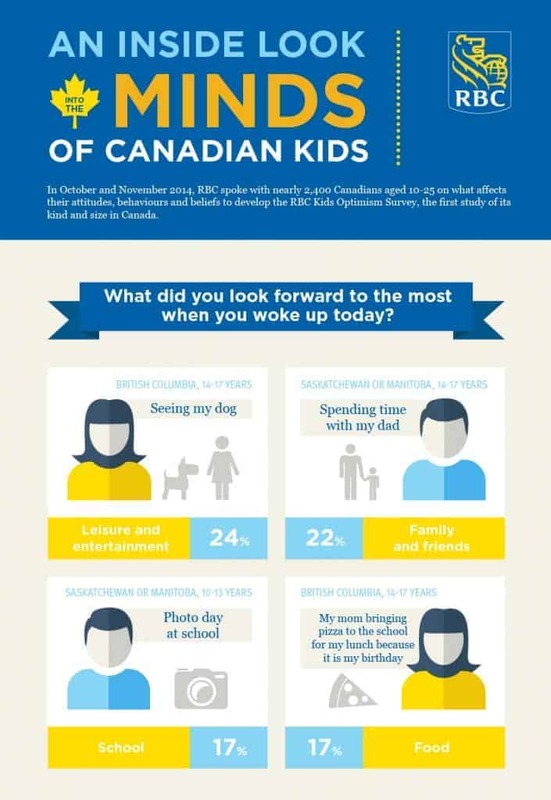 Just how optimistic are Canadian kids and teens about their future? That’s the question RBC (the Royal Bank of Canada) set out to answer in their Kids Optimism Survey. The answers may surprise you. We’ve all heard of a mid-life crisis, right? Well, it turns out our teens are having a bit of a crisis of their own! Call it a “quarter-life” crisis, if you will. According to the results of the Kids Optimism Survey, young adults ages 18-21 are not exactly feeling all that optimistic about their futures. The results go on to say that this age group is ” significantly less happy, less optimistic, less excited about their future, and are less likely to say the things they do in their daily life are worthwhile compared to kids aged 10 to 17. Just 57 per cent of these young adults feel they can achieve anything they want, and only 59 per cent say they frequently smile, much less often than teens aged 14 to 17 (78 per cent).” Read more about the Kids Optimism survey results. RBC made some exciting announcements over the last weeks about special grant commitments that will help hundreds of organizations and thousands of children across Canada. 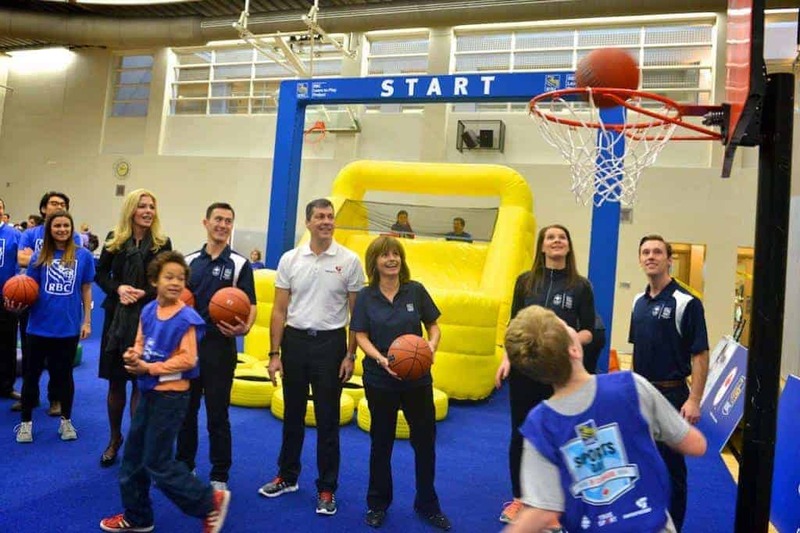 Among them: a three-year, $8.2-million commitment to the RBC Learn to Play Project. Learn to Play Project is an ongoing RBC initiative, PHAC has simply committed funding to be distributed through the project by ParticipACTION as part of the three-year partnership. OurFamilyWorld is passionate about encouraging active play and family fitness. We believe that the power of play goes beyond just giving children a way to burn off energy. It boosts self-confidence, helps keep kids physically fit, and teaches the value of team work. Every child should have access to programs that allow them to explore new sports and enjoy their favorites. On November 20, 2014, RBC also announced that they would be committing $2.86 million in funding to 109 community-based after-school programs through the RBC After School Project. These programs help inner city and Aboriginal kids receive valuable assistance with homework, literacy tutoring, computer training, nutrition guidance and much more. Although the Kids Pledge Tracker isn’t new, I wanted to share it in case you didn’t know about it. in 2013, RBC made a 5-year, $100 million pledge to help 1 million kids. These new announcements are part of that pledge. The Kids Pledge Tracker is an interactive way for you to see just how and where they’re making a difference. It’s also a great way to keep up with new announcements regarding grants and funding. 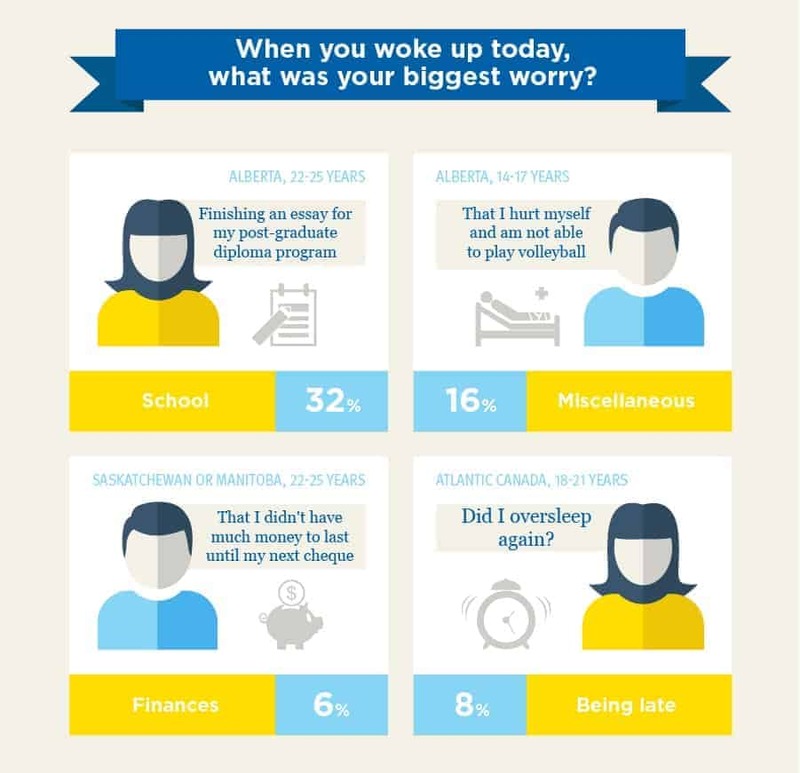 RBC is dedicated to turning those quarter-life crises around for future generations. We think their Learn to Play program is a fantastic start! We admire their dedication to creating brighter futures for all Canadian children and look forward to seeing the results of the next Kids Optimism Survey. What RBC announcement are you most excited about? What surprised you the most about the Kids Optimism Survey results? Top Baby Names Then and Now: How Much Have They Changed? What a great initiative to get kids more involved with their families and their communities! Wow that is just sad the results of the survey. Kids today have more to deal with than we ever did it is just sad that can’t see past the dark spots to the bright future that lays ahead. Wow, I love the Inforgraphic. It is very informative. I think the American Kids are just the same and not just Canada. It’s great to see that someone is taking note. Well, a $100 million dollar pledge is amazing. What a generous awesome thing to commit to doing. It makes me sad when young people lose hope – they need to know they have their whole lives in front of them and have the power to make them great. How interesting! I remember being a very anxious child, so it’s really interesting for me to see stats like these now that I’m a parent to my own little ones. These are awesome. I like the pledge also. Wow these percentages are interesting. Sounds like a nice pledge and way to help by this company though. I hope that I will be able to make my kids feel more secure at that age knowing this. Wow some of these are crazy. Especially the pizza percentage. Very interesting results. I think kids have things so easy! if they think they have it hard as kids/teens wait until they are older. Wow 32% were worried most about school. Why does school have to be so stressful? I’m not necessarily surprised by the results, but it definitely makes me a little sad and concerned that so many young people are not feeling positive and optimistic about their future. I think it’s really wonderful that this program exists to offer kids the support and opportunity to socialize and try new things while also staying active. I think it’s great that they are donating so much to community programs for kids. Programs like that are so important. Do siblings really influence each others health and weight?